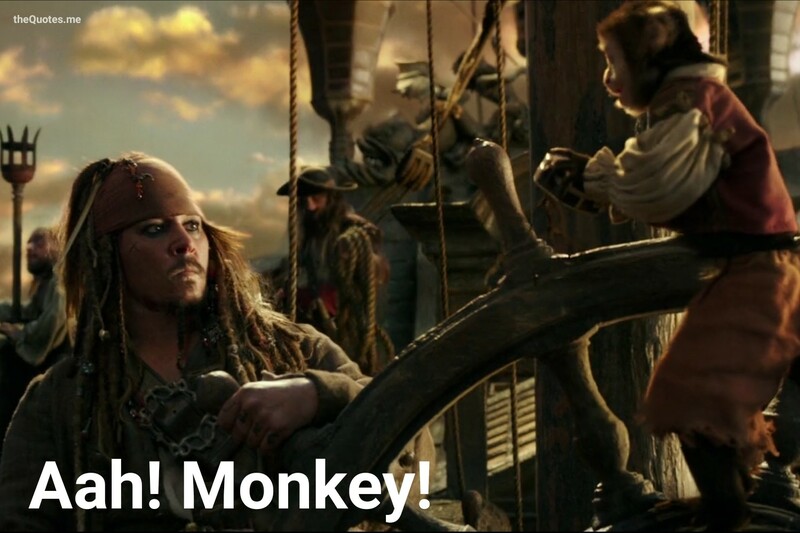 Captain Jack Sparrow has always found it difficult to get along with Barbossa’s pet. 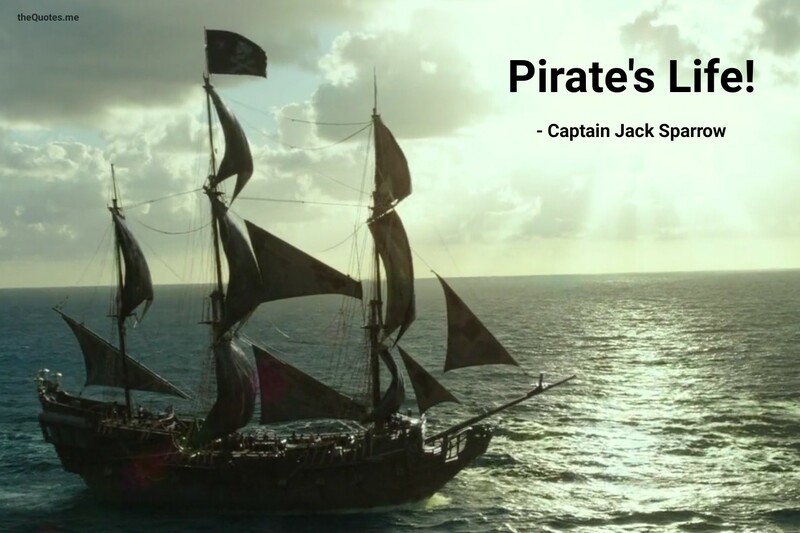 Author theQuotes.mePosted on October 25, 2017 October 31, 2017 Categories Captain Jack Sparrow, Fictional Character, Jack Sparrow, Johnny Depp, Movies, Movies Series, Pirates of the CarrebeanTags abyss, anchor, artifact, astronomer, astronomy, bandana, bank, bank vault, barefoot, battle, bayonet, beach, beard, bell-tower, Black Pearl, boat, book, boy, British, candle, cannon, cannonball, Captain, Captain Hector Barbossa, caribbean, Carrebean, chain, chase, chest, claim in title, compass, coral, crowd, crypt, curse, dawn, Dead, dead man, death of father, diary, dreadlocks, drunkenness, executioner, eyepatch, face slap, father daughter relationship, father son relationship, father son reunion, fifth part, Fight, flashback, forced-wedding, gallow, ghost-pirate, ghost-ship, guillotine, hammerhead shark, Hanging, harpoon, horse, horse riding, horticulture, husband-wife-relationship, imprisonment, island, Jack Sparrow, jail, jungle, Lantern, map, men, monkey, movie series, mud, murder, narrate, naval-fleet, night, palm-tree, peg-leg, pet, piracy, Pirate, pirate-flag, pocket-watch, prison break, return-to-life, Revenge, reward, rifle, roof, ropes, rowboat, rowing, ruby, rudder, saber, sail, sailing, saint-martin-caribbean, scabies, sea, sequel, shark, ship, ship-in-a-bottle, ship-on-fire, shore, sideburns, skeleton, smoke, stair, Story, sunset, tale, tell, tide, tied-up, title-spoken-by-character, torch, tossed-overboard, tremor, trident, undead, violence, waking up, wave, wedding, witch, wooden-cage, year 2017, younger version of characterLeave a comment on Aah! Monkey!